U.S. Embassy To Move to Jerusalem! 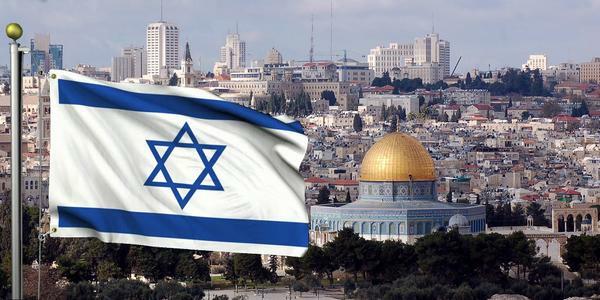 In an anticipated move, this week President Trump announced that the U.S. will move its embassy in Israel from Tel Aviv to Jerusalem ”a move that will likely take three to four years (Fox, December 6, 2017). This move, along with Mr. Trump’s open declaration that Jerusalem is Israelâ€™s capital (a reality that other nations do not openly admit), could bring the two-state peace process between Israel and the Palestinians to an end. The Palestinians representative to the UK, Manuel Hassassian, told the BBC that the changes to US policy on Jerusalem amounted to a kiss of death for the two-state solution in peace efforts and were like a declaration of war [diplomatically] (BBC, December 6, 2017). Saudi King Salman has warned, Moving the U.S. embassy is a dangerous step that provokes the feelings of Muslims around the world (New York Times, December 5, 2017). The leader of Hamas also warned, This decision is an uncalculated gamble that will know no limit to the Palestinian, Arab and Muslim reaction. We call for stopping this decision fully because this will usher in the beginning of a time of terrible transformations, not just on the Palestinian level but on the region as a whole (Al Jazeera, December 6, 2017). While the Israeli government is urging other world governments to move their embassies or consulates to Jerusalem, Palestinian leaders have called for three days of rage against this decision.